Something like The Beneath doesn't come around everyday. 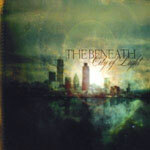 Christian music is not often held in the highest regard by many; however, when a band such as The Beneath deliver an album such as City of Light, I would hope that anyone would recognize the sheer progressive brilliance contained on this record. If I had to summarize City of Light in one word it would be 'Schizophrenic.' That would be followed by saying, 'but in a good way!' Songs like the title track 'City of Light' feel like a tornado. Twin lead guitars swirl around you creating a vortex while bass and drums pound and devastate the ground below. Singing and screaming vocals soar high above, even layering the two on top of each other. At anytime this musical tornado can change direction into completely different styles. One thing 'City of Life' has going for it is that no two songs sound alike. Styles are alternated freely, though this does not always work out for the best. Particularly, 'The Game' doesn't seem as polished as the other songs on this album. It gives the impression that the band is trying to do a bit too much. Thankfully, first impressions are wrong, and each song after it unfolds perfectly. After the album's rocky start, 'City of Light' and 'A Dialogue' offer a truly unrelenting progressive experience. 'Triumvirate' is an acoustic song that serves as a pause to the madness. Afterwards, 'Ataraxic' and 'The Collapse' continue with The Beneath's progressive song structure, by not having one. 'The Game' made me skeptical but 'City of Light' showed me that The Beneath's schizophrenic style can be pulled off and sound amazing in the process. Once again, please don't let the fact that this is a Christian band turn you off. They certainly have more talent than most other bands do.